Hi! I’m Monica Whitman, and I just moved to Granford with my husband Douglas. It’s such a pleasure to meet you! Douglas is retired now, and we’d always wanted to live in New England and had somehow missed it until now. But we’ve got a nice old farmhouse—not that we’re farmers or anything—and I’m having a wonderful time getting to know all the nice people of Granford! You know, it kind of keeps you young, starting over in a new place. But everybody’s been very kind to me—to both of us, really. That’s why I wanted to give something back to the town. Oh, all right, it was also a great way to introduce myself to a lot of people all at once. Anyway, I suggested that the town host a WinterFare. I guess I have to explain. There’s still a lot of farming going on in Granford, and they have a lovely Harvest Festival, or so I’m told, but then there’s that kind of dull period after the harvest and before all the pruning and planting and whatever starts up. That’s usually in January and February. So I went to the town council, or more precisely, Seth Chapin, who’s a great guy, and said, why not have an indoor festival then, to get people out of their houses? I know enough about farming to know that there isn’t much in the way of fresh vegetables and fruits at that time of year, but some apples keep well over the winter, or so Seth told me, and they make a nice colorful theme. And of course there are all those crafts, like knitting and crocheting and art, and people can show those off and maybe sell some. And that nice young couple with the restaurant on the green could provide the food. The council liked my idea, especially after I said I’d do all the planning, which I was happy to do. As I hoped, I got to meet lots of people, and it wasn’t hard to put things together. I’ve planned events like this in other places, so I knew what needed to be done. And it all came together so well! It was a great success, and I hope the town will do it again next year. But maybe I’ll let someone else manage it the next time. It really was a lot of work, and I’ll admit I’m tired now. But happy. June is bustin’ out all over, and we at Killer Characters are celebrating with a month-long giveaway (so that all of us can be part of it). I’m kind of between books, although you’ll meet Monica in A Late Frost in November. But right now I’m trying to clear out some of my office and bookshelves and the floor, and . . . You get the idea. 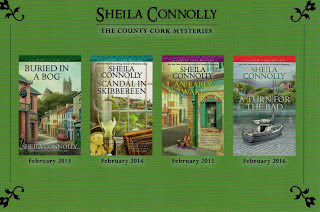 So I’d like to offer one lucky winner one book from each of my series (Orchard Mysteries, Museum Mysteries and County Cork Mysteries). If you need to fill in your collection here’s your chance! First book, last book, or anything between! You don’t even have to pick a favorite series! Just leave a comment by June 28th (and include your email address) and I’ll pick one winner for the three books of your choice. Good Luck! I just double checked my home library data base and actually found a few holes in my collection of your books. So yes please I'd love to be included in the giveaway. 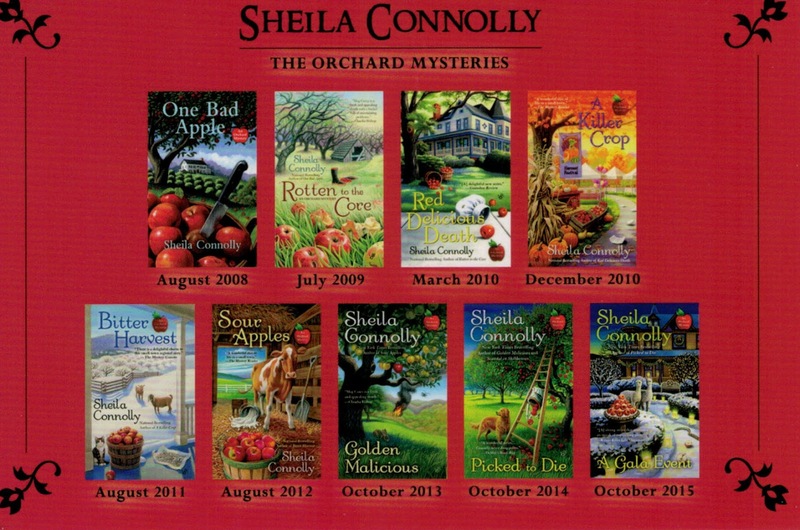 Would love the something from the Orchard series. Actually a print copy of any would be great! Thanks for the chance. Thank you so much for the chance to win this amazing giveaway!! Can't wait for the latest installment. 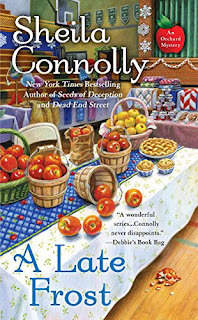 The orchards series is wonderful. Thank you...what a chance!! I have been wanting to read these. I love all of this subject matter. love all these..missed last book in each series so would love to win..thanks..
Have not read any of these. Would love too. I love your orchard series and I'm sure I'd enjoy the others. Would love to have any of the books in the series. mcastor07 (at) Gmail (dot) com. Really enjoy your series. Thanks for the generous giveaway. I love the idea of a winter festival. I love fall ones too. Most of the fairs around here are in summer and oftentimes it's just too hot for me! Thanks for the chance! This must be kismet-I just picked up Buried In A Bog today at Half Price Books. I am of Irish descent and thought the book looked inviting. 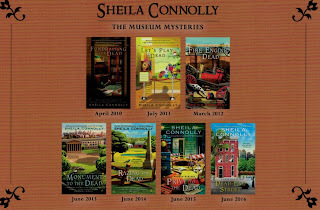 I'd be thrilled to win just one of your books, let alone 3! Thank you so much for the chance and your generosity. Did you know that Honeycrisp apples were developed here at the University of Minnesota? I love the orchard series. Thanks for the great giveaway. Oh, I love series that have "characters of a certain age." I always find it fun to read about people who are retired and head off on great adventures. Well, murder investigations don't seem to be what one would welcome, but I love to read from their perspective. Love the books cover. Sounds like a great cozy mystery . 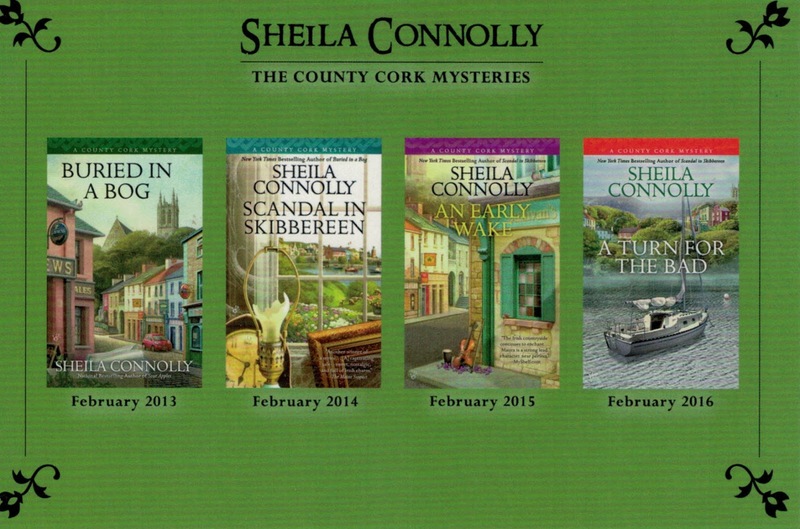 I read and love all Sheila's series. I look forward to what is to come next!!! Wow! What a super giveaway! Thanks for the chance to win. I'd love to learn more about your series. Three great series! Love to win. Thanks for your generosity. Someone us going to be very lucky! All your series look so good. I'm going to go and buy your first one of each series. Looking forward to reading your books.